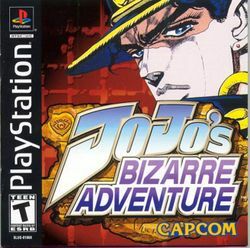 JoJo's Bizarre Adventure is a fighting game developed by Capcom based on the Japanese manga of the same name. It utilizes colourful anime-inspired graphics and special Stand abilities. This page was last edited on 15 August 2016, at 17:21.